The professional solution for cleaning, maintaining and protecting. 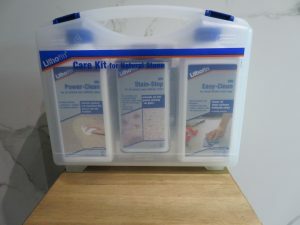 This kit comes stocked with Lithofin Easy Clean 500ml, Lithofin Power Clean 500ml, Lithofin Stain Stop 250ml. 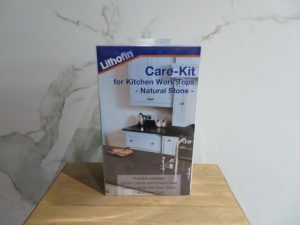 Easy Clean – for every-day cleaning of stone surfaces such as kitchen worktops, tabletops, bathroom vanity tops and wall tiles. Enhances the appearance of the stone and leaves a pleasant odour. Power Clean – a special product from the LITHOFIN-Range for marble, natural and engineered stone. Used for thorough cleaning in case of severe general and greasy dirt. Stain Stop – special impregnator optimally protects absorbent, stain-sensitive natural and engineered stone surfaces against staining. 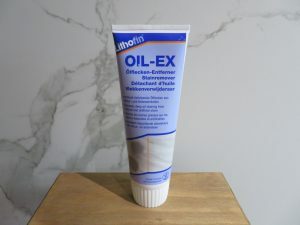 Largely prevents penetration of oil, grease and water and makes further maintenance easier. Highly recommended in kitchen and bathroom. Poses no health concerns once dry. 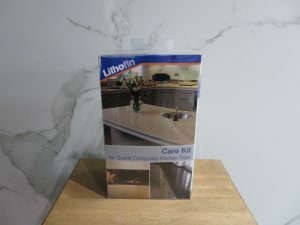 This kit comes stocked with Lithofin Easy Clean 500ml, Lithofin Power Clean 250ml, a microfibre cloth and a spray gun attachment for easy use. Removes stubborn grease and deep oil staining from natural and engineered stone. Also for removal of discoloration on peripheral zones in case of silicon joints and for removal of stubborn wax.